At MileMark Media, we exclusively build legal websites. We utilize our extensive industry knowledge, incorporate dynamic strategies from our dozens of studies on optimizing conversions and implement best practices that support our findings. 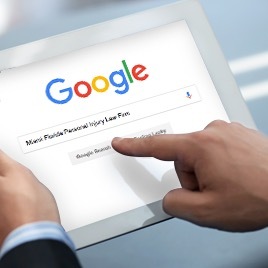 We are the best of both worlds when it comes to internet marketing and legal marketing, let us build you the perfect law firm website. 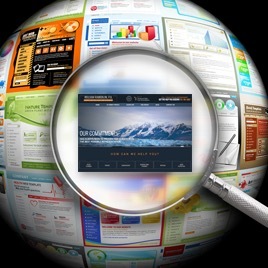 Does your current provider focus exclusively in legal websites & SEO? Do they understand and comply with your state’s strict bar rules and regulations? Have they incorporated best practices to drive conversions and instantly engage with prospective clients? Is your site currently built with a responsive design so that it does not lose its integrity no matter what device it is being viewed on? 61% of people would move onto another site if they did not immediately find what they are looking for on their mobile device. So, if your firm’s site is not mobile-friendly you’ll be missing out in a big way! There are 100 billion searches per month on Google. Of the 30 billion mobile searches a year, 12 billion are local. 70% of users click on organic results and most importantly 75% of users never click past the 1st page. Facebook® 1.15 Billion users, Twitter® 500 million users, Google +® 500 million users, LinkedIn® 238 million users. 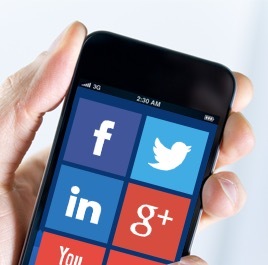 Social media generates almost double the marketing leads of trade shows, telemarketing or direct mail. 64% percent of people looking to quickly secure products or services clicked on sponsored results. When consumers have an immediate need they see sponsored results sooner and choose them over other options. Why should you choose MileMark Media? Consumers are conducting a growing number of searches on mobile devices and tablets. In fact, mobile searches have surpassed laptop and desktop searches already. We develop every legal website with a responsive design to enable every visitor the most optimal viewing experience. Once the website is completed, the next critical step is driving traffic to the site through effective search engine optimization. Does your current vendor update your site’s content and invest ample hours to effectively increase your site’s authority? Google changed their algorithms over 400 times last year. Staying on top of such changes and making the necessary adjustments with your site is critical. At MileMark Media, we understand that similar to an attorney’s stock in trade, effective optimization comes down to simply time and expertise. Our legal marketing specialists invest a significant number of hours on a monthly basis to ensure that they stay on top of the constant changes and maintain strong overall rankings and traffic. Another key component to an effective law firm online marketing program is to have a strong Social Media and Blog presence. Fifty percent of consumers are now utilizing social media and blogs to assist in their decision making process when hiring an attorney. It is essential to establish social media pages for your law firm that mirrors your website and syndicates content across all social media. Developing an effective Social Media strategy will expand your network and generate new clients. At MileMark Media, we realize it is important to develop and maintain an effective social media strategy. We not only write the content and manage the process, but similar to our optimization solutions, we analyze the respective results and continue to modify based upon the desired performance. Contact our legal marketing experts today and let 50+ combined years of legal marketing work for you. Here's what your peers in the legal community have to say about working with MileMark Media. I have used or tried over half a dozen website design companies only to constantly be disappointed with my investment, until I hired MileMark Media. 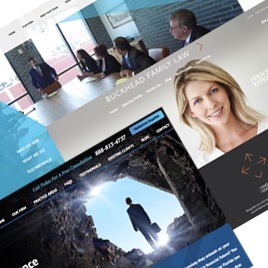 MileMark Media approached my law firm’s needs with not one individual but with its entire team of professionals.The website is amazing and we are very pleased with the MileMark Media team. MileMark Media is owned and operated by top notch internet marketing experts who are extremely competent and honorable. We are very pleased to be clients of theirs.